ISMS is an authentic Montessori community where our children are inspired as learners to grow into peaceful, influential and self reliant young people who create a better world. Our School is based on the philosophy of Dr Maria Montessori and operates according to those Montessori principles. Dr Montessori believed that children have a natural love of learning and experience great exhilaration and satisfaction if allowed to complete tasks which they have freely chosen. Briefly, the Montessori classroom is devised as a total environment comprising three essential parts: the child, the environment and the teacher (Director). Maria Montessori referred to the adults in the Montessori environment as ‘Directors’ rather than teachers as she felt that their true role was to prepare an environment filled with resources and ‘direct’ a child’s learning rather than teach a child facts. 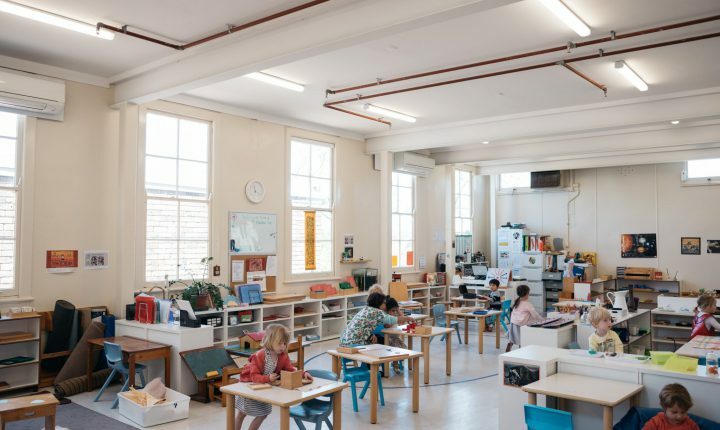 Specially prepared rooms allow children to do much for themselves, which goes to the heart of the Montessori philosophy and our school motto – Help Me Do It Myself. The Director acts as a facilitator, introducing the child to materials appropriate to the child’s developmental level and observing the child’s interaction in the non-competitive classroom environment on a variety of levels. The Director encourages an independence in the children which allows them to make their own choice of work to satisfy their interests at that particular moment. This also includes giving the child the choice of working as an individual or as a member of a group. The choice for the child is ‘when’ as opposed to ‘what’, with all children having the opportunity to gain necessary skills and concepts both academically and socially. The responsibility a Director undertakes in assisting in a child’s development is one which is never taken lightly. The Directors in our School take on this responsibility in collaboration with the parents and so communication between these two team members is extremely important. Formal parent/Director meetings are held twice yearly. At other times of the year, parents or Class Directors can request a meeting if either feel the need to discuss a child’s development. In this way, the adults involved can feel they are following the same path to assist the child in their progress. All parents are encouraged to support the Montessori education of their children by understanding the philosophy and supporting the Montessori Pedagogy and simulating a Montessori environment at home. The child most likely to benefit from Montessori education is the child whose parents take an active interest in the School. Refer to Montessori Learning for further information.